News > Killarney Race Day Great Success for Alfa Romeo Team! 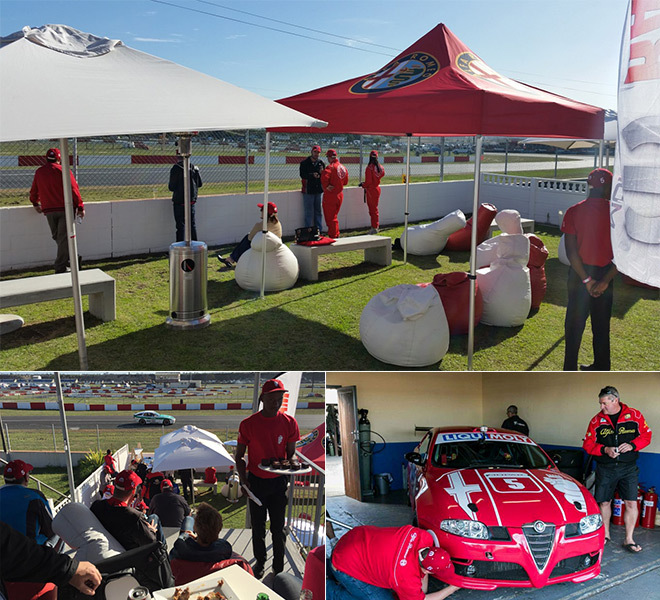 On June 6th, Killarney Raceway hosted the 3-hour Africa Endurance Race where avid fans of Gt and Alfa Romeo, as well as clients, were invited by William Simpson Cars, to participate and enjoy a race-filled day of heart-stopping adrenaline endurance racing. During the event, refreshments and a delicious buffet were provided under the boma viewing point. The GT driving team didn’t disappoint and consistently kept their lap times to achieve 1st place in its class, with an overall standing of 6th. What was even more remarkable is the result for index of performance. This is where each car is rated based on the best lap time achieved versus its average lap time for the race. Considering that there are multiple drivers per car the level of consistency shown from both the GT and it's driving team was superb, earning 1st place overall in this category! All in all, the day was well organised and was a great success for the Alfa Romeo racing team!